When a GV story is translated into another language, its reach, impact and audience multiples. 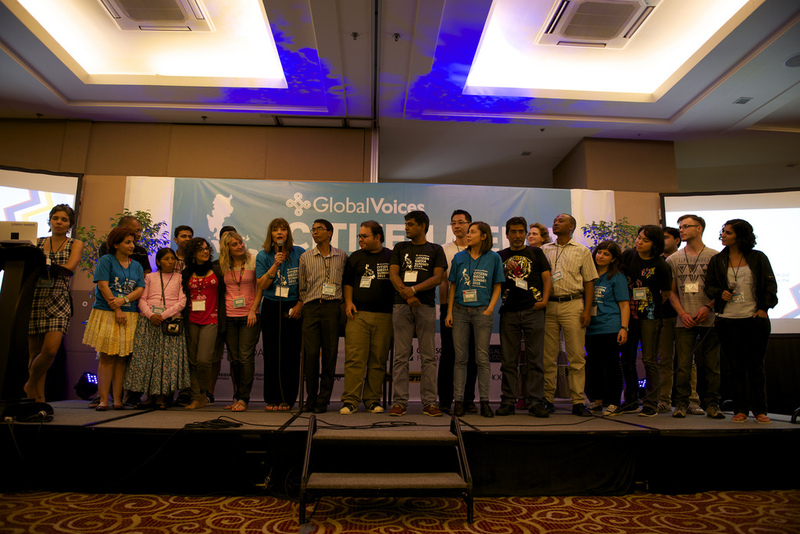 When reporting for GV, we try to make sure our Lingua team will be able to seamlessly translate our stories. Lingua Translators Guide Technical information about using the Lingua system to translate posts. Lingua Editors Guide Information about administrating a Lingua site. Clear writing is what makes good translations. By writing well, not only do you help to reduce the potential amount of translation errors, but you also make your original posts more understandable for GV's global audience whose mother tongue is not necessarily English. This is not just about the length of your story, but also about the way you organize it. Avoid long, complex sentences. Try to keep paragraphs between one to three concise sentences. For more on this, please refer to How to Write for GV. When it comes to translation, context is everything. One word in English can have multiple translations into another language and visa versa. How do translators know which is correct? By making sure the story includes well-explained background and context. Please refer to How to Write for GV for more on this. Including links to sources of information in a story is also a good way to provide extra information for those who need it. While we do want you to be creative when writing for Global Voices, writing in active voice in English — subject + verb + object — makes it easier for translators to move your story from one language to another. You may need to use the passive voice in certain cases. Please refer to How to Write for GV for more detailed explanation. Homographs, or those words that are spelled in the same way but have different meanings. Also, try to use words with their primary dictionary meanings. Unexplained slang, technical jargon and neologisms whenever possible, unless you are sure they are fairly established in English. Metaphors and culturally specific allusions. They might work fantastically in one language but make no sense whatsoever in another. Gobbledygook such as legalese and officialese. In some languages, it is not necessary to mention the subject with a verb when the identity of the subject is implied. This can make it difficult to translate into English, which requires a subject and a gender for its third-person pronouns. When writing, make sure you mention “he” or “she” somewhere to make it clear to a translator later down the road. Make yourself available to promptly answer queries that a translator may have when working on your post.